New Hyundai 30L-7A LPG counterbalance forklift truck for sale. This LPG forklift delivers a 3000 kg lift capacity with a compact frame and a short wheelbase. This forklift will be suitable for any high volume indoor stock handling operations. 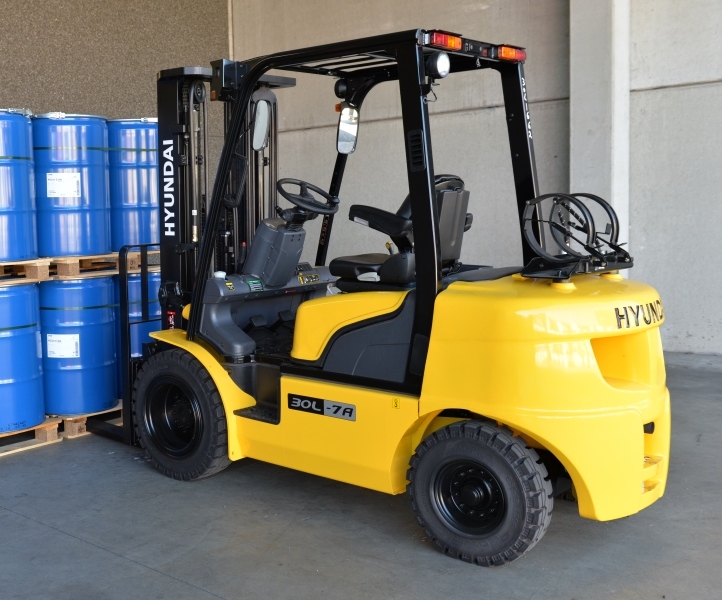 The Hyundai 30L-7A forklift truck offers clean power, excellent maneuverability and of course a superior performance. Being able to quickly raise and lower the mast, as well as tilting forward and backward, the truck provides you the best operational conditions during loading/unloading operations. With a loaded truck, mast lowering speed is carefully controlled by a control down valve to ensure full safety on the job.